These scarves add an edgy yet feminine touch to any outfit. They're equally at home topping off jeans and a shirt, or paired with a suit for the office. Lace works up fast and uses less yarn than more solid crochet fabric. 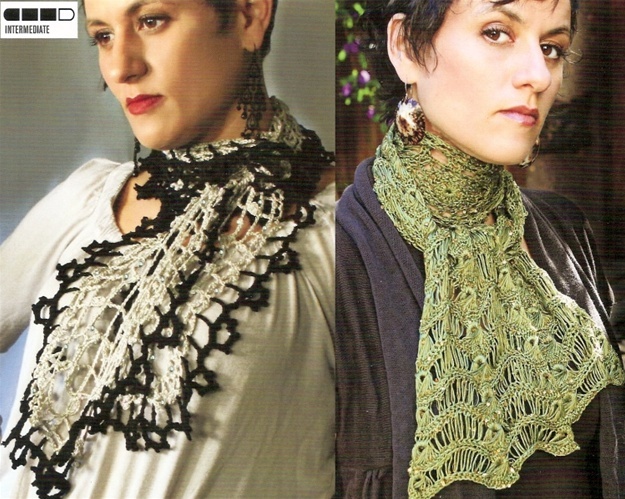 Use plain or beaded drapey yarn. Choose plain or embellished yarn, but choose a yarn that drapes well--rayon, viscose, bamboo, silk, or similar fibers.